With 58 hectares of native forest on a secluded beach, Thala Beach Nature Reserve is surrounded by World Heritage listed reef and rainforest. 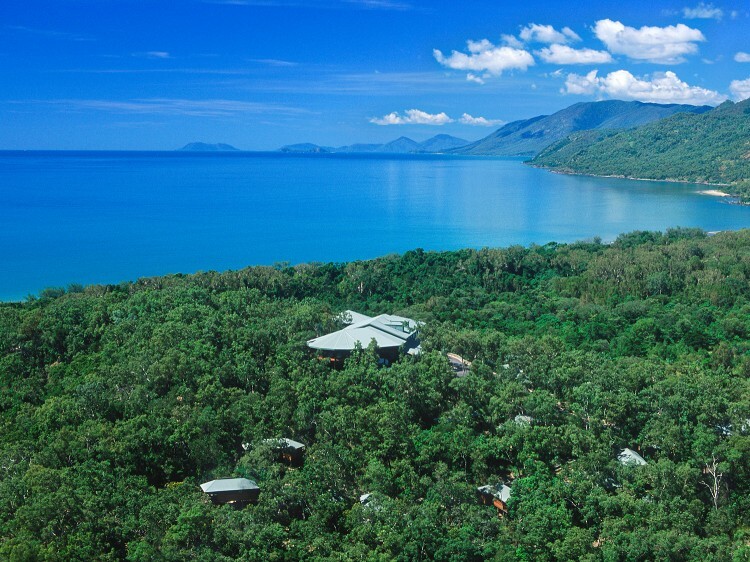 Located 15 minutes south of Port Douglas, Thala sits atop a headland with breathtaking vistas of the Coral Sea. Thala Beach Nature Reserve provides an island-feel eco retreat, making it an ideal base for exploring the Great Barrier Reef and Daintree Rainforest. Thala Beach Nature Reserve has proudly achieved the highest accreditation of eco-certification through sustainable practices and environmental sensitivity. Boutique eco designed timber bungalows are built high on stilts within the forest canopy providing a private and unobtrusive approach to nature. All bungalows enjoy ocean, mountain or forest views. Timber-decked verandas provide ample opportunity for relaxing and wildlife spotting. 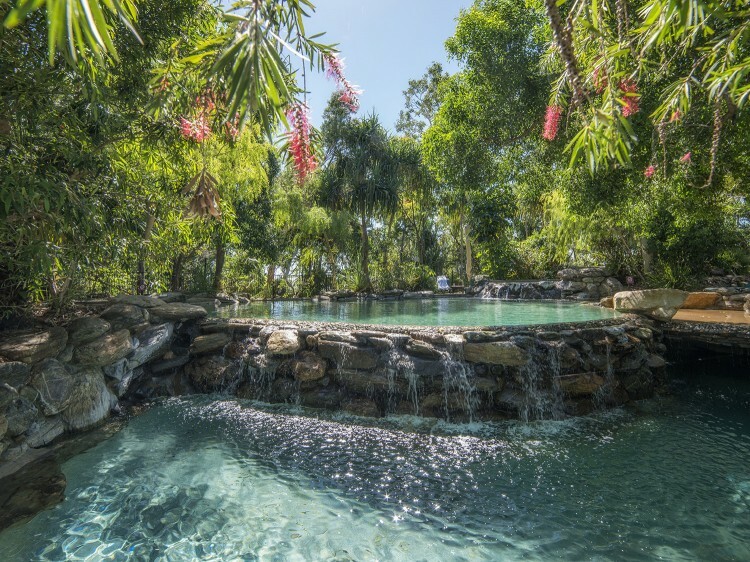 Granite boulders, waterfalls and overhanging trees create natural swimming pools blending discretely within the environment. Paths wind through rainforests, mangrove wetlands and woodlands, connecting with secluded coves and beaches, passing through habitats for endemic birds, wildlife and flora. 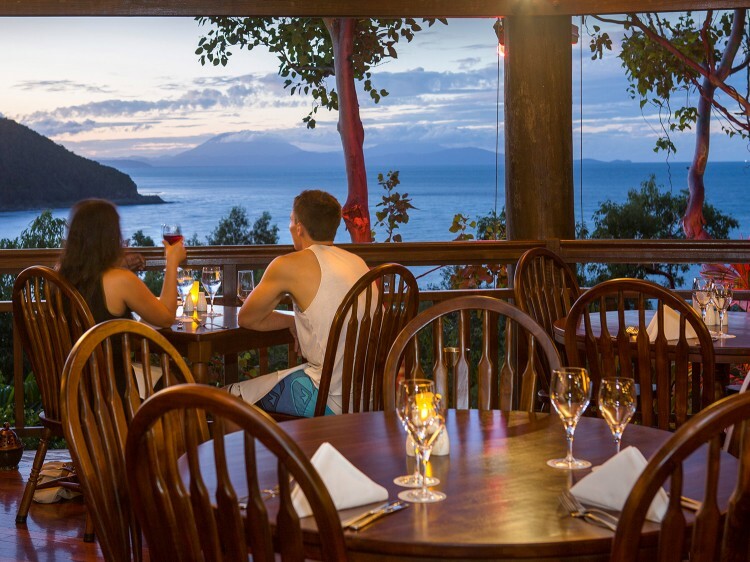 Osprey Restaurant offers panoramic vistas across the sparkling waters of the Coral Sea and the World Heritage-listed forests that clad the coastal ranges. Guests and visitors dine among the birds in the surrounding treetops while enjoying modern Australian cuisine with friendly service. Guests enjoy complimentary guided nature tours by onsite Rangers including tree planting, stargazing at an outdoor observatory, beach discovery, wildlife and bird-watching tours. A totally organic 650-tree coconut plantation is home to a unique coconut odyssey tour highlighting the extraordinary qualities of the ‘tree of life’. Magical moments are created at Thala Beach Nature Reserve in Tropical North Queensland. 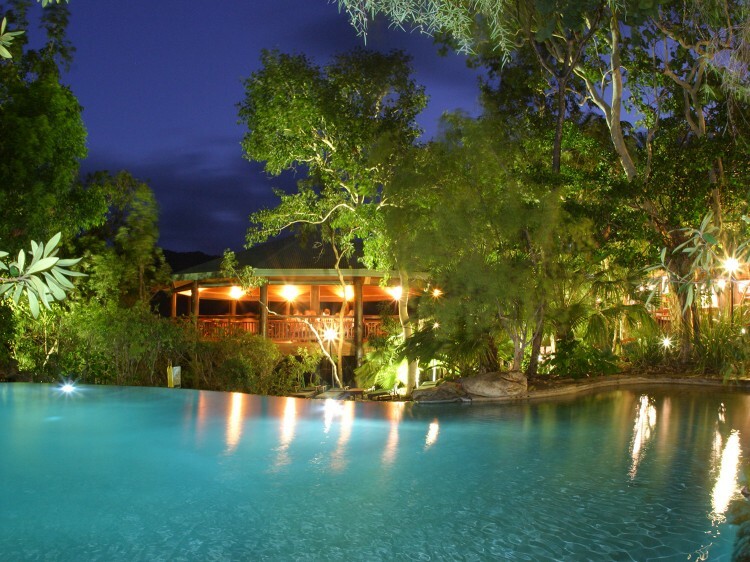 Private and exclusive, an unspoiled wilderness sets the mood in this deluxe eco resort 45 minutes north of Cairns. Thala's five star resort is fully eco accredited for ecotourism and consists of private deluxe timber bungalows built high on stilts and nestled in the forest canopy. All accommodation has views either to the beachfront or the rainforest mountains. Small Cost Activities - Turtle Spotting from Sea Kayaks (fee applies), Picnic Baskets (fee applies). Osprey's Restaurant - enjoy modern Australian cuisine and embrace uninterrupted views for 110 kilometres while you dine at this special restaurant. Relax among the birds in the surrounding treetops and experience the tastes of the tropics while being surrounded by its splendour. With a seasonal menu and an emphasis on fresh local produce Ospreys is a popular Port Douglas restaurant option for locals and guests of Thala Beach Nature Reserve. Open for breakfast, lunch and dinner daily. Masked Plover Cocktail Bar - open throughout the day and evening for your pleasure. Overlooking the pool and the majestic expanse of the coast and rainforests it’s an ideal place to enjoy a cocktail after a days exploring. Choose from a selection of treatments including Signature Massage (Swedish, deep tissue, deep relaxation, hot stone or pregnancy), Rejuvenate Facial, Body Scrub and Wrap. Located within the forest, these bungalows combine comfort with the deep green, earthy beauty of the jungle. Individually positioned and border Thala’s pathways as they gently rise up the headland through the lush Eucalypt forest. Follow the higher ridges of Thala’s private headland, with vistas over the top fringes of the forest canopy to a spectacular view out across the Coral Sea.